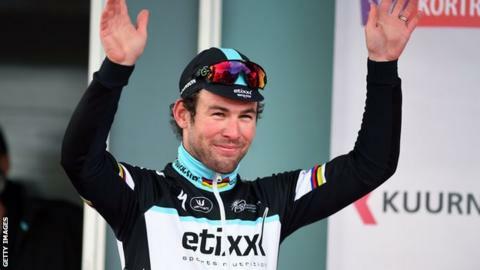 Mark Cavendish remains in the Tour of Turkey points leader's jersey despite being unable to contest the sprint finish to stage four in Marmaris. The 29-year-old Manxman was one of a number of riders dropped on the final climb of Wednesday's 131.9km leg. Etixx - Quick-Step rider Cavendish, who won the first two stages, has the same points tally as Italy's Daniele Ratto. German Andre Greipel won stage three while Italy's Meridiana rider Davide Rebellin is the overall leader. 1. Andre Greipel (Germany / Lotto) 3:22.08"